I am excited to share with you that I will be hunting ginseng for the first time this fall. I have several acres of woods in my backyard that I haven't explored much due to an unforgiving incline. It is absolutely beautiful back there and ginseng is my motivation to explore it more. With that in mind, I have been learning everything I can about ginseng this spring so I will be ready in the fall. I have attempted to condense everything I've learned so far with hope that it may help someone else that might be curious about ginseng. If you are a veteran digger and would like to share some tips for us newbies, I would be happy to include them here! The information contained in this article is primarily related to hunting wild ginseng as a hobby, which is very different from cultivating ginseng. Ginseng (Panax quinquefolium) is a small perennial plant with fleshy roots that thrive in well drained loam soil. Ginseng has been revered in China for more than 5,000 years and many Native American Indian Nations also harvested ginseng to take advantage of its numerous medicinal qualities. Ginseng has been reported to have an almost endless list of medicinal benefits including use as an aphrodisiac and as a treatment for erectile dysfunction, breathing problems, nausea, stomach and appetite, mood, energy, cognitive function, inflammation, and to lower blood sugar levels. Disclaimer: Ginseng is not regulated by the FDA and many studies testing the medicinal value of ginseng has been inconclusive. This is for information purposes only. As always, be sure to talk to seek professional medical advice for taking herbal supplements, especially if nursing, pregnant, or might become pregnant. Upon discovery in the early 1700's, ginseng quickly became a valuable export for Canada and the United States. 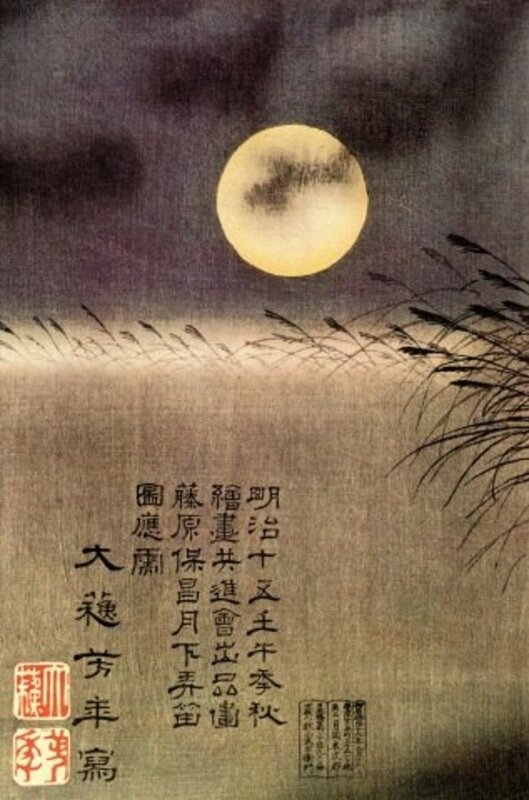 Jesuit priest Father Joseph Francois Lafitau was stationed in Canada and began to actively search for the root after reading Father Pierre Jartoux, another priest stationed in China, read manuscripts about the plant. It is alleged that the Mohawk Indians of the Iroquois Six Nations helped Father Joseph find ginseng, which they called gurantoquen. Due to the issues in the translation of the story, others speculate that he found it on his own by accident while he built a house. Within a few years of this discovery, Canadians enjoyed a thriving ginseng export to China. When a large shipment of improperly dried roots arrived in China, the Chinese refused any more French-Canadian ginseng for a long time. This actually turned out to be a good thing because the unrestricted harvest had decimated the ginseng population and it was given a chance to rebound. During this time, explorers began to search for ginseng in the new American colonies and by 1757, the American colonies were exporting ginseng as well. The trade is still alive and well today and Marathon County, Wisconsin has transformed commerce in the region by the export of ginseng. The ginseng trade between American and China has only grown over time. Ginseng remains high demand in China, but since ginseng requires almost virgin soil and to thrive, China cannot produce enough of it. American ginseng also has slightly different medicinal properties which the Chinese pay a premium for. 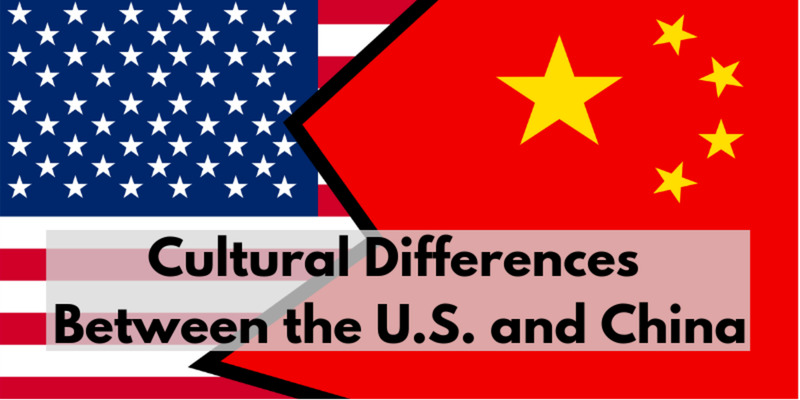 Chinese ginseng is considered "hot" and American ginseng is considered "cool", yin and yang. 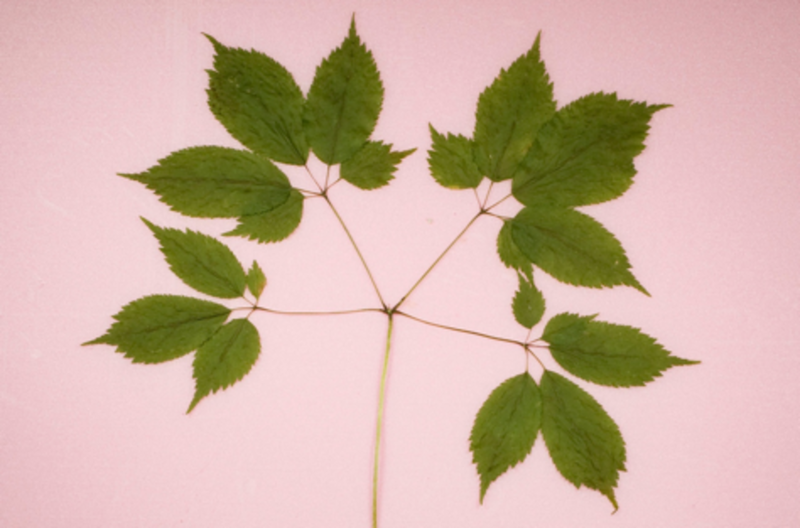 American wild ginseng is also known to be stronger and to contain more ginsenosides. Since the Chinese do pay handsomely for this root, it has created a bit of a gold rush in the US, which has threatened the species. This is why conservation efforts are so important. In 2014, the US exported $77.3 million worth of ginseng and the number is only expected to climb every year due to an upsurge in natural living products. There are many that might say writing about ginseng could only make things worse, because it draws extra attention to the opportunities that can be found in ginseng. I feel; however, that this information SHOULD be shared with new generations of diggers. I am an amateur, for example, and would not have known about the importance of reseeding the areas that can sustain ginseng. My ignorance and inexperience could have been just as dangerous as unchecked greed. Agroforestry is a growing industry and ginseng is just one of the many ways that people may be able to get the most out of their land. I previously mentioned that the high prices the Chinese pay for American ginseng has created a bit of a gold rush mentality and that is unfortunately true. Cards are stacked against ginseng--long dormant period, deforestation, warming temperatures, poachers. This is why it is so important to choose mature roots (at least 5 years) wisely and to always plant seeds in nearby soil. The Foreign Policy blog has a really interesting and eye opening article about the current state of the ginseng industry. Every state has very strict requirements about when and if ginseng can be harvested (usually around September 1st). Know what the guidelines are and follow them closely. After identifying potential spots to dig, it is imperative to obtain permission to dig. Many public lands do not allow the harvesting of ginseng. Trespassing is also illegal, immoral, and quite dangerous, so why risk it? I live in an area where there are several well known ginseng diggers and they go through great lengths to protect their roots. From guard dogs, to game cams, to shot guns...if you trespass you might be lucky to get out alive. Just sayin'. The first thing to do on the pursuit of ginseng is to carefully identify good potential habitats where conditions exist for it to grow. 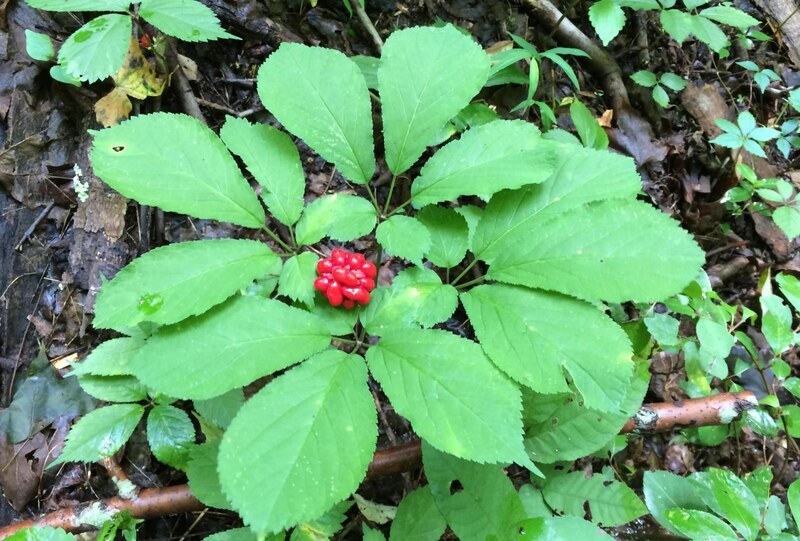 Wild ginseng can be found in several US states and it is especially prominent in the Appalachian mountains and foothills. 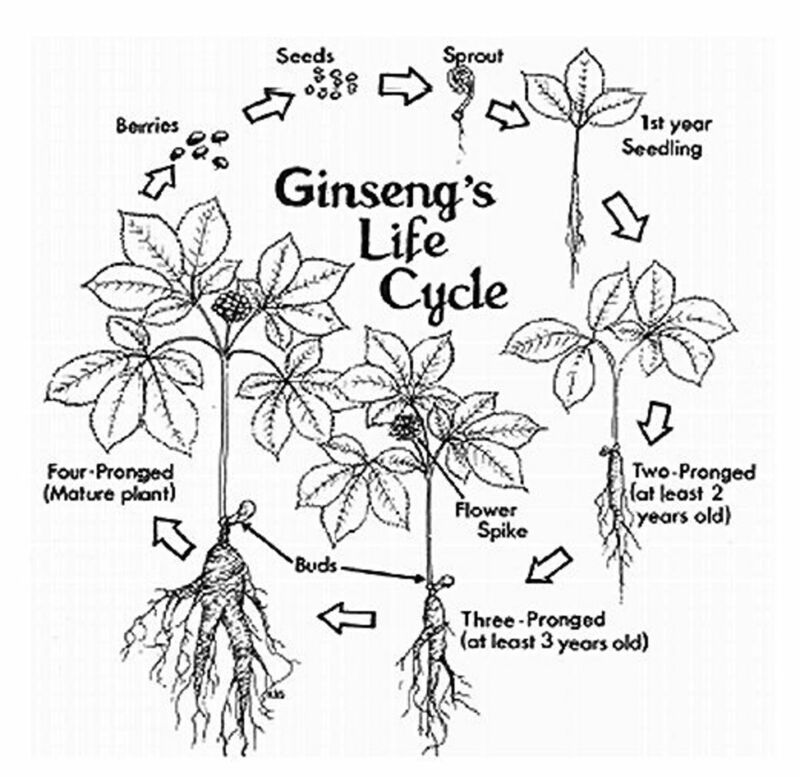 Ginseng thrives in well drained loam soil and is typically found on north or east facing slopes in hardwood forests. Commonly found on north facing slopes, but can grow anywhere that conditions are favorable. Ginseng leaves turn yellow in late August and are easier to spot. In the early fall, the first trees to turn their leaves (soft hardwoods) are great for spotting potential ginseng spots from a distance. Harvest dates vary by state but typically begin around September 1st. It is not ideal to collect ginseng before then because the roots will be heaviest as the plants die down in the fall. Common companion plants (aka indicator species) that are known to grow in the same conditions as ginseng. Note: An environment of mixed types of trees is ideal. The area should not be all oak/hickory/cedar/pine. Wandering far off the beaten path can be very dangerous, especially for amateur diggers. 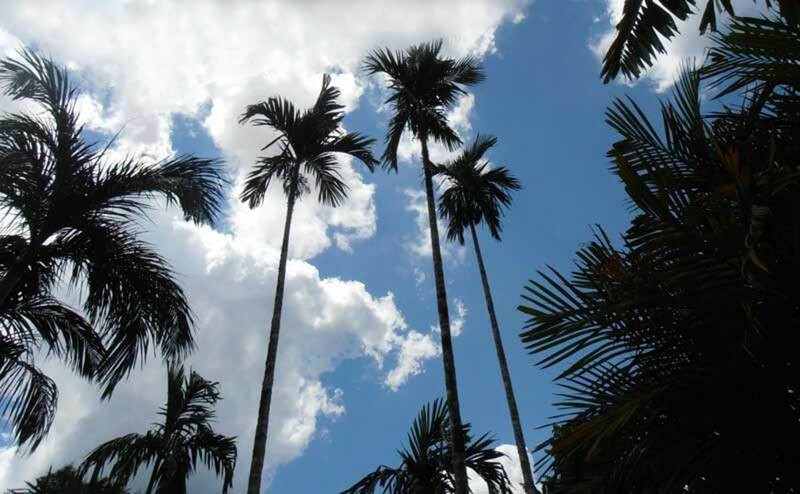 It is important to have a plan in place in the instance that you might encounter plants or animals that can cause bodily harm or incapacitate you in the wild. Make sure you tell someone where you are going and how long you expect to be gone if you must go alone. Make sure you are able to accurately identify poisonous plants such as poison ivy, poison oak, and poison sumac to minimize chances of exposure. Buy yourself a good pair of snake boots or snake gaitors in the event you accidentally find yourself too close to one. Snakes like surprises about as much as you do! Ticks carry disease and are of course, no fun. Turkey mites are a different kind of hell that I wouldn't wish on my worst enemy. Application of insect repellent on long clothing (not your skin!) with cuffs is one way to try to avoid that nightmare. Bears, wolves, wild boars, and big cats aren't an issue in my neck of the woods...but they might be in yours. Do your homework on what to do if one is encountered in the wild. It's easy to get disoriented in the woods so having a good topographical map and a compass on hand would not be a bad idea. Ginseng flowers June-August, which creates brights red berries that can be planted. Green berries should not be picked until they turn red. Slightly serrated leaves grow on a horizontal plane and run almost parallel to the ground. Ginseng has a single stem and grows to be about 6" tall. A root should have at least 4 prongs of leaves before being harvested in an effort to ensure it has reached maturity. Age can also be determined after digging by counting the "cup scars" on the neck of the root. 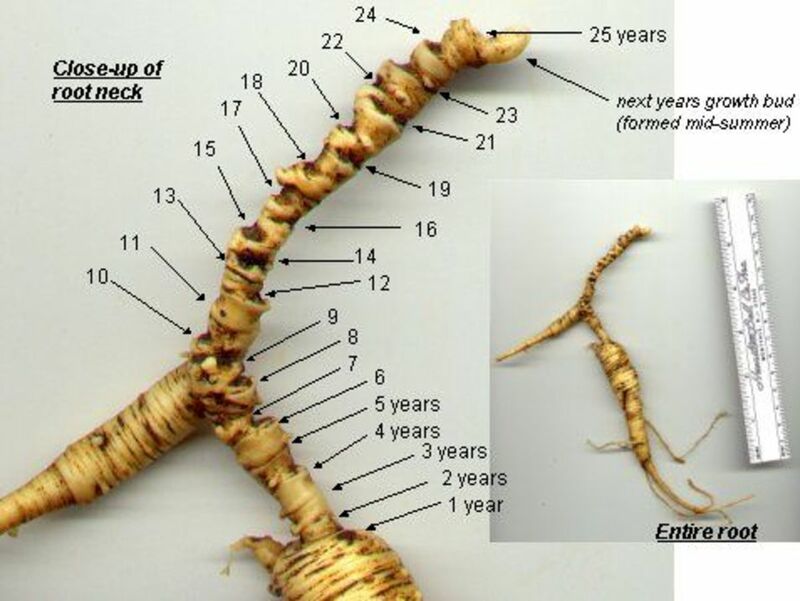 It is important to dig up the root carefully so as not to bruise or break the root, which would invite infection and devalue your batch of ginseng. You can use your hands, a small spade, or a flat head screwdriver to gently unearth the roots. If the plants you are digging up have red berries, you are morally (if not legally) required to plant all of them within 50 feet of the plant using nothing more than your finger 1/2" - 3/4" below the surface. This is an important part of ginseng digging, as it conserves the species for future generations to enjoy. If you plan on collecting, purchasing, or storing seeds to cultivate ginseng, I highly recommend Kim D. Pritt's book, How to Find, Grow, and Use North America's Forest Gold. Growing ginseng from seed is a long and tedious process and Ms. Pritt explains in detail how to properly navigate the fragile seed's long 18 month germination cycle. She also outlines proper use of fertilizers and explains the different type of pests and blights that could compromise your ginseng garden. After roots have been dug up, they must be properly dried. That old saying "Quality over Quantity" definitely applies when selling ginseng. Prospective buyers look for certain features in wild ginseng, which have a different set of expectations from cultivated or wild-simulated ginseng. Roots should be well ringed and dark in color. Allow roots to dry for a few days with dirt still attached. Roots can be dried on a screen in a hot dry room (attic or closet) that can maintain a 90-100F temperature. If humidity is an issue, use a dehumidifier. After a few days, you can gently rinse the excess dirt off in a bucket, using only your fingers to gently remove mud, and return them to their drying rack. A good slow dry for 10-14 days should get them to a point where they break with a crisp snap under pressure revealing a creamy white interior. Drying too quickly can scorch the roots and cause discoloration. Drying too slowly or not controlling humidity can result in mildew or mold. 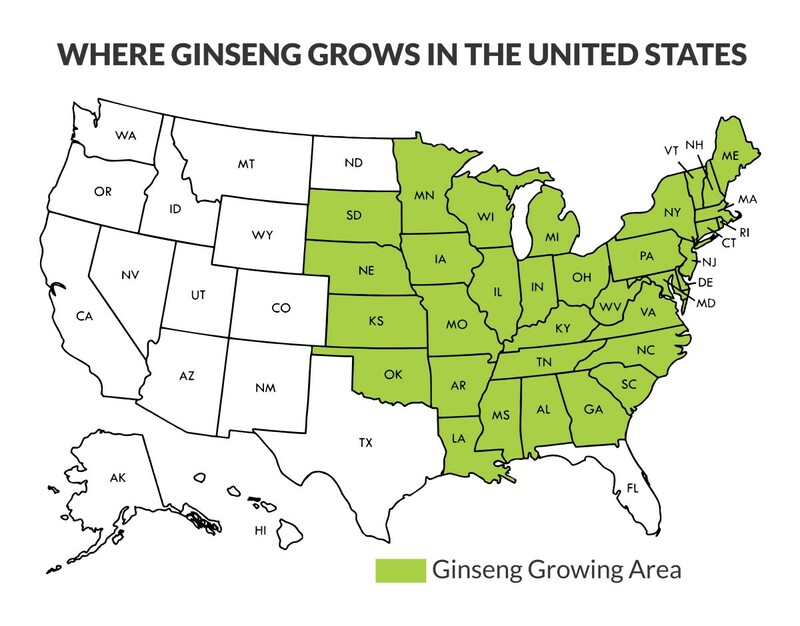 Most states have a list of licensed ginseng dealers that purchase ginseng from diggers. It is would be a good idea to call around to dealers before digging, especially if its your first time, to get an idea about what dealers are looking for. Wild Ozark is a great place to find information. Many dealers and diggers offer market prices and industry news, which is quite helpful. If prices are not as good as you would like, properly dried and stored ginseng can last for several years while you wait on the prices to come back up. As Madison mentions in the comments below, it is important to be aware what the ginseng laws are in your state. It is illegal in some states, such as Arkansas, to hold or knowingly buy roots that have been held over. Please remember that ginseng is a fragile and endangered species and can easily be decimated through careless practices. If you do plan to dig, do your part to ensure that this mysterious little root will be here to enjoy for generations to come. How much is dried ginseng worth? It's my understanding that dried ginseng is worth more per pound than wet. The exact price depends on the going market rate, age, harvest location, and cultivation method. WildOzark.com is a good resource for ginseng hunters...and you might ask around your local area for dealers that can give you going rates for ginseng in your local area. Yes, it can. If not properly dried and stored, it can go bad (e.g. mold, etc). If it has been properly dried and stored, it should be able to last indefinitely. I have found Wildozark unreachable. Who else will buy my ginseng root in TN? If a person had a ginseng dealers license, who would they sell to? I would think a dealer would be selling it to larger commercial distributors and overseas merchants. Are there any American Wild Ginseng dealers in Massachusetts? I don't think so. Massachusetts has ginseng listed locally as a threatened species, but I can't find any additional info as to the regulations in the state. If you want to find out for sure, I would recommend checking out the link below for Massachusett Wildlife's Heritage & Endangered Species Program. They may be able to give you more accurate information on the regulations/restrictions in the state. Marla, I checked your link and the photo was very helpful. Compared side by side they are very different. This was very helpful for me. 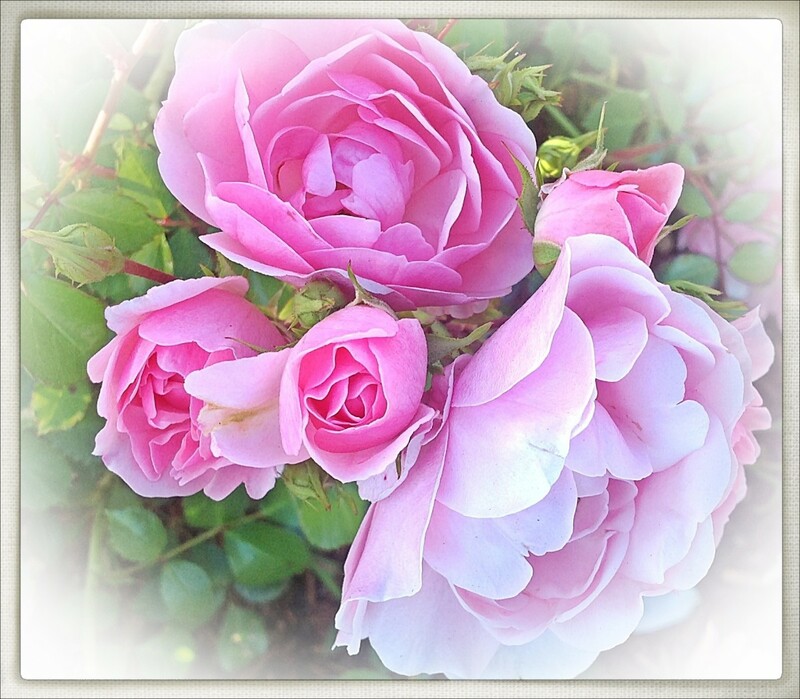 I have been afraid many times when working in yards and gardens because I couldn't tell. I didn't even know there is an American ginseng. Now I can't wait to spot some. Thanks a lot for the info. If I make no mistake it looks like poison ivy. Maybe I have been looking at ginseng at times when I thought it was poison ivy. How can I tell the different. Don't want to do the itch test. "The harvest season for wild and artificially propagated ginseng in Arkansas is from September 1 to December 1. The state does not allow green ginseng roots to be possessed between April 1 and September 1, and all harvested ginseng must be sold between September 15 and March 31 of the next year." Thanks for checking it out Madison! I wasn't aware of the issues surrounding holding ginseng, so I updated the article. I love your website! Hi, thanks for linking to Wild Ozark in your nicely written article. Just a note I'd like to point out for others who may be here for information - at least in Arkansas, it's illegal to hold over your roots for a better year. The idea is to not dig more than you sell, but I know it's still a common practice. It's also illegal for buyers to knowingly buy roots that were held over, unless they came from another buyer who had them certified at the end of the prior season. Just thought I'd mention it in case it's also the law in other states as well. Hopefully there will be some prices information getting posted in the comments on the page you linked to once the season opens. 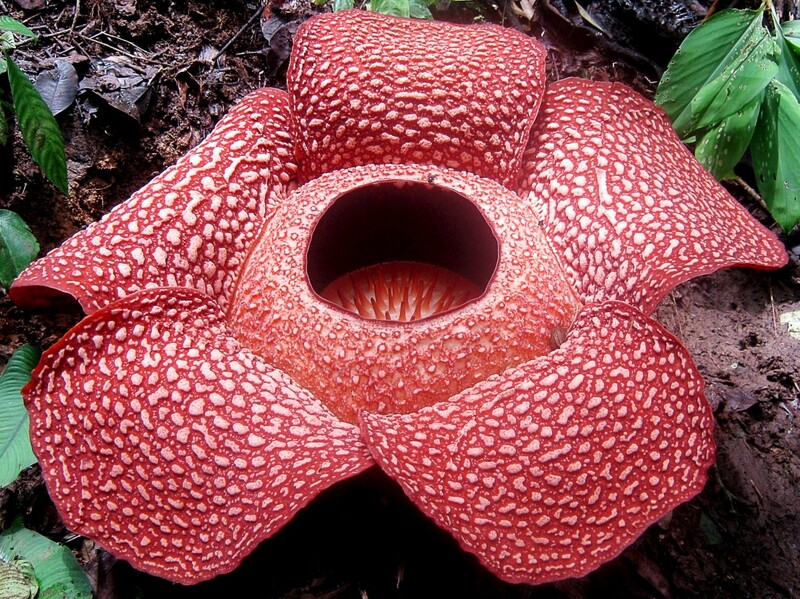 Thanks for being a good steward for this endangered plant, and Happy Hunting!